The slogan that is used for Malaysia’s tourism purpose, “Malaysia, Truly Asia” prolongs to sound true, for this entertaining country is really a medley of Asian cultures. Did you know that in Malaysia, each ethnic crowd has its own set of cultural practices and languages? Consequently, their calendar brims with multiple festivals throughout the year. This will be a holiday that will be etched in your memories for a really long time. Our guide here will help you get a Malaysia visa from Australia. Around 64 people applied for Malaysia visa applications from India during last month. 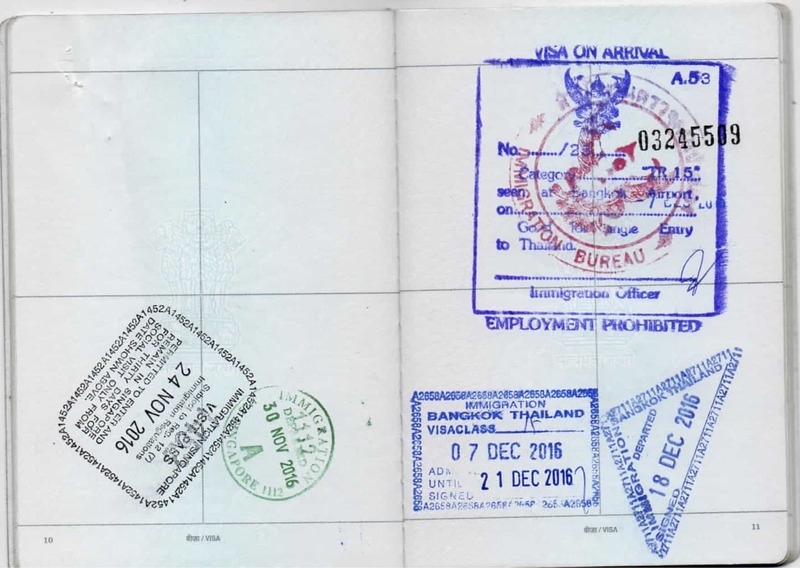 Do you need a visa to enter Malaysia for tourism purposes? Can you apply for it from Australia with an Indian Passport ? You do have the option of Malaysia visa-on-arrival. However, you will have to pay close to INR 7,000 per visa in this case. If you apply for a Malaysia eVISA online, you will have to pay half of that amount. 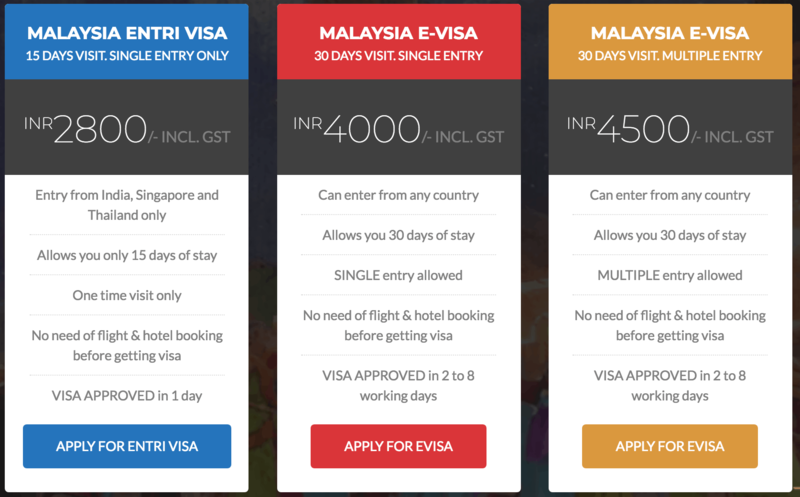 What are the different types of online Malaysia visas for Indians from Australia ? What is the cost? There are a number of fake agents that succeed in collecting all the important information and money from you by their scamming tactics. You need to be careful of such people and online websites. How to apply for Malaysia visa from Australia ? How can you apply for your Malaysia VISA from Australia? We can help you in applying for your Malaysia visa. You do not have to worry about making any prior bookings as well, as far as flights and hotels are concerned. You can get your Malaysia eVISA without having to make any advance bookings on your flight and hotel. 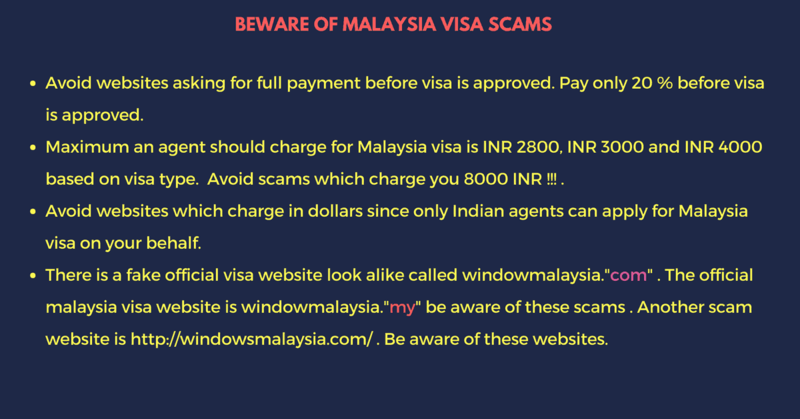 Step 1: First visit our website for Malaysia visa and click on ‘Buy Malaysia visa @ INR 2800‘. Step 2: You will get redirected to a new page where you will have to select the ‘visa type‘. It is okay if you choose the incorrect one now. We will have a conversation with you and help you choose the right visa for you. Step 3: Fill the online application form that follows next. Please fill all the details carefully. Make a payment now which is 10% of the visa application fee. If you are planning to leave for Malaysia in the next seven days, you will have to pay the entire fee, at the time of the application, itself. Do not worry. This is what the Malaysia visa policy says. 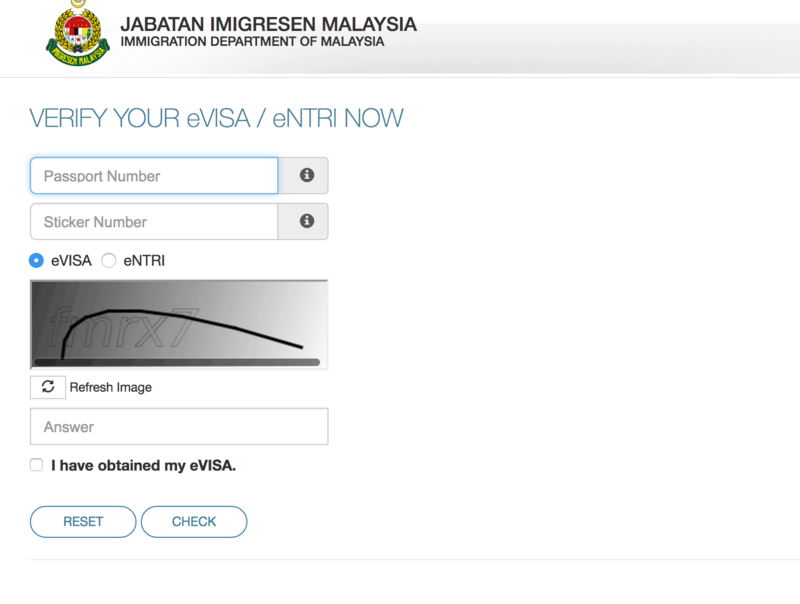 You can also apply for a Malaysia eVISA from the official government website. 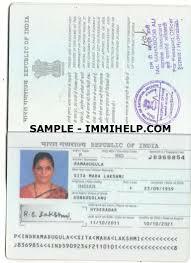 Your passport that needs to have a validity of 6 months from the date of your return to Australia. It also needs to have a minimum of 2 blank pages. Scan a recent passport size photograph of yours and upload it. The size of the scanned photograph should be 35mm x 50mm. It needs to be in the PNG or JPG format and its size should not exceed 2MB. Please note that meeting these specifications is very important. 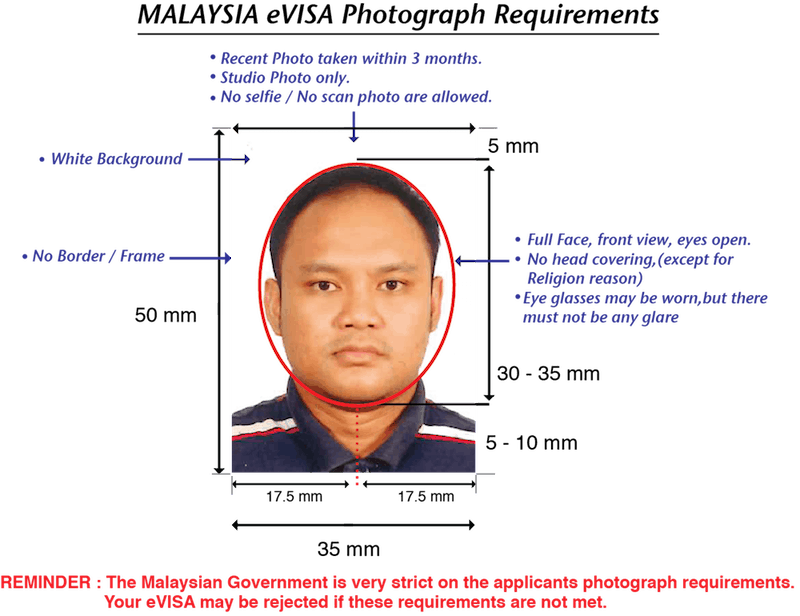 Most Malaysian visa requests get rejected as applicants upload images that do not meet the required specifications. If you are applying for a visa through us, our graphic designers will take care of these requirements. Even in that case, we request you to send us images with specifications close to the required ones. A scanned copy of your passport’s first page that has all your details. The size of this document should be less than 2MB and it should also be in the PNG or JPG format. 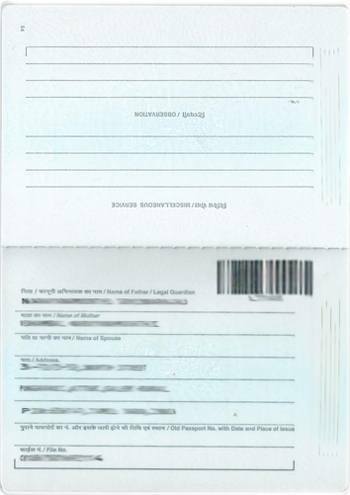 A scanned copy of your passport’s last page as well. The document requirements remain the same as above. A scanned copy of your passport’s page that shows your last international travel stamps. Confirmed round-trip flight tickets of entering and leaving Malaysia. The tickets have to be in the PDF format. Proof of accommodation during your entire stay in Malaysia. This also has to be in the PDF format. This is again something we can offer. Our travel agencies can make arrangements for your entire stay in the country. You can book a hotel of your choice once you get your visa. What is the cost of applying for a Malaysia visa from Australia? How to check the status of your Malaysia visa on the official site? In order to verify the status of your visa, you will have to visit the official government website. You can find out by just entering your passport number and your sticker number and then clicking on “check“. While entering the details, ensure that they are right. It is advisable that you limit your stay in Malaysia for a maximum of 30 days. Overstaying your welcome could lead to an administrative fine and consequently denial of visa. No, an eVISA does not allow applications to apply within Malaysia. 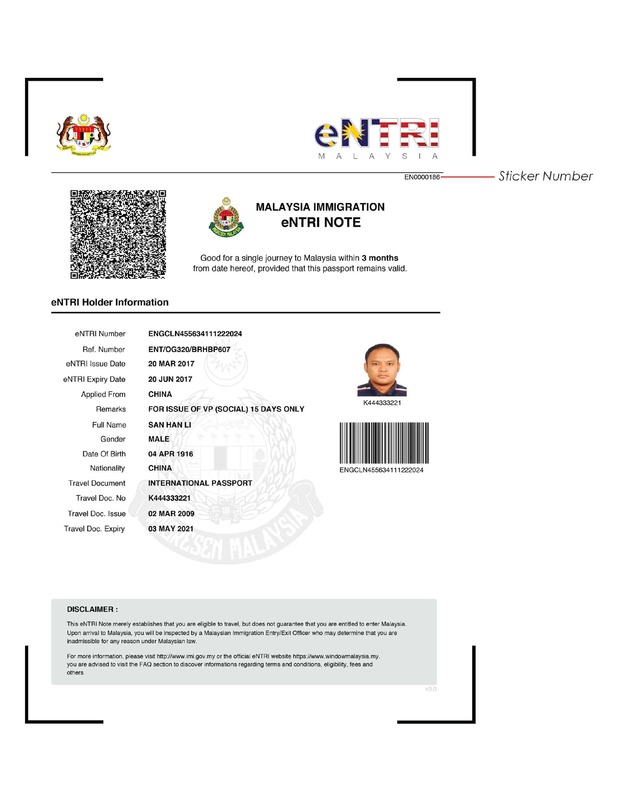 An eVISA must be obtained prior to your entry into Malaysia. You can apply for your Malaysia eVISA from Bangalore. 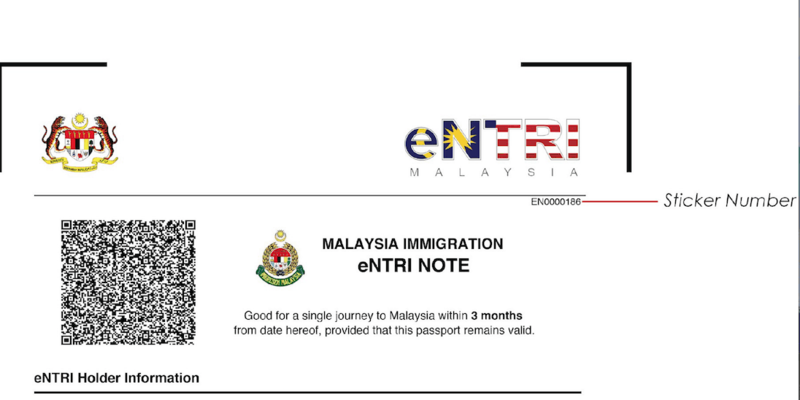 How long will my Malaysia VISA from Australia be valid for ?